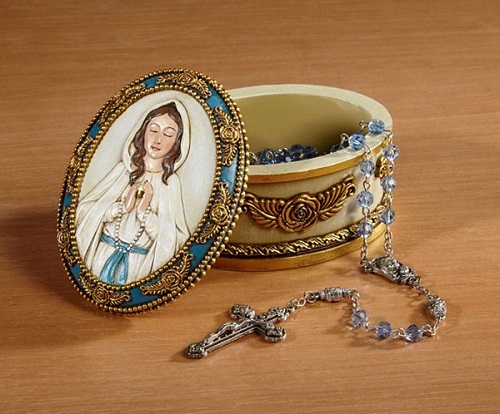 These fun, attractive, snap closure tins, keep the prayer folder neatly inside. 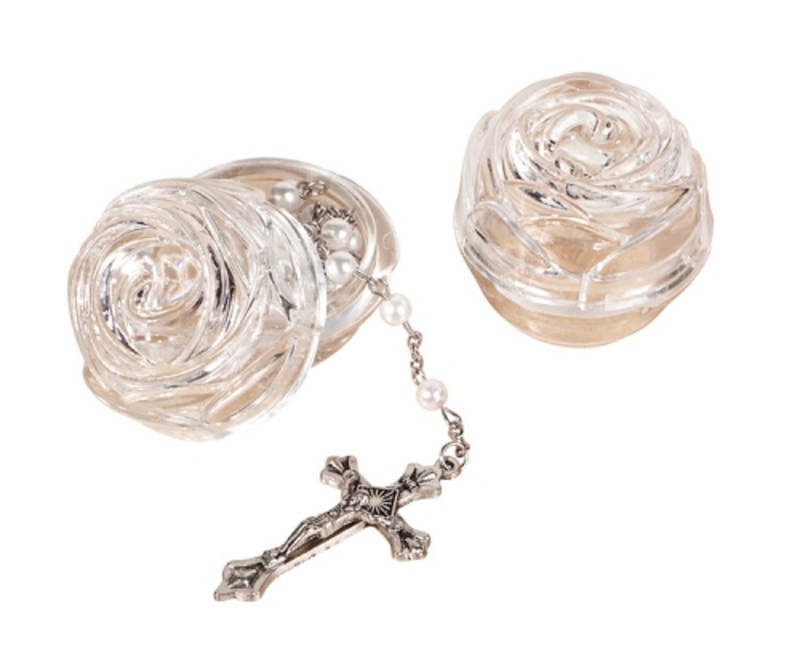 Small enough to fit in any pocket or purse, so they can be taken wherever you go! 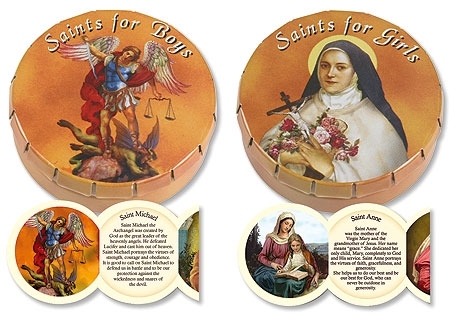 The Saints for Girls and Saints for Boys help teach about the Heroines and Heroes of our faith and the virtues they portray. 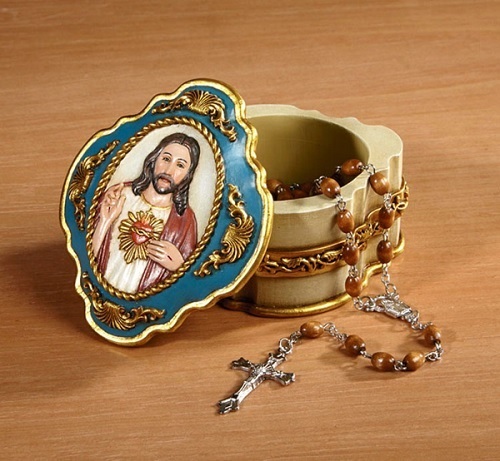 Includes beautiful full color pictures of the featured Saints.